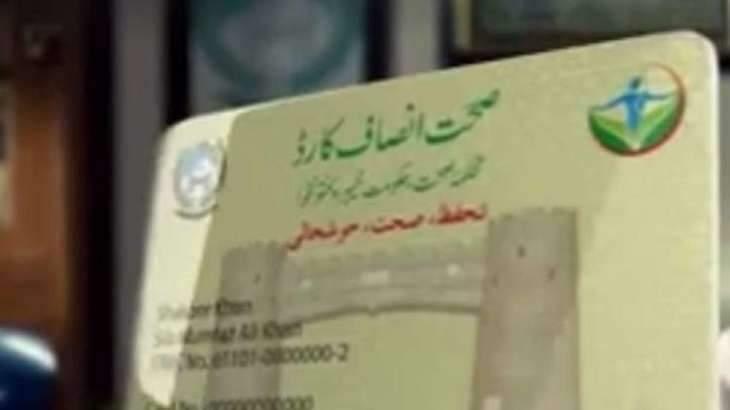 PESHAWAR, (UrduPoint / Pakistan Point News - 16th Apr, 2019 ) :Health Department has provided financial assistance of Rs 61.1 million for medical treatment of 26,610 patients under Sehat Insaf Card during last eight months. The was disclosed in a meeting chaired by Chief Minister Mahmood Khan on Tuesday to revive performance of Health Department. Chief Minister was briefed regarding reforms in health sector and doctors were bound to perform two years duty in cities of their domiciles and independent monitoring teams have been expanded to the newly merged districts. Chief Minister was informed that separate directorate have been setup for Drug Control and Pharmacy Services. Summary of 18 developmental schemes out of total 47 have been sent to Chief Minister for his approval. It was informed that 520 posts have been created in Saidu Group of Teaching Hospital and total 983 post of doctors and para medial staff have been approved in the province. The CM said that Saidu Group of Teaching Hospitals would be inaugurated before June this year. Chief Minister was told that 200 basic health units have been turned into comprehensive health units, adding that 500 units would be converted into comprehensive units by 2023. The meeting was informed that state of the art health units would be setup in the merged districts with support of Pakistan Army. It was informed that mother and child hospital would be setup in Charsadda district and medical and allied ward in the Lady Reading Hospital, Causality block in Khyber Teaching Hospital within year time. The CM asked health department to fix timeline for the projects and ensure completion within stipulated period. He cautioned to supervise all the development projects. He further said that immediate issuance of Sehat Insaf Card should be ensured and health department should made appointments on domicile basis.